How architects can identify which of their projects are eligible for R&D tax credits. As an architect, you may not know when you’re undertaking activities that are eligible for R&D tax credits. However, architects are constantly driving innovation by ultimately orchestrating the different elements of a project. Architects are responsible for developing the building design and often take high risks to achieve it. This creativity and innovation is a perfect fit with the R&D tax credits scheme. Preparing an R&D claim can seem complex when focusing on the finer details of a project. At this initial stage many architects feel frustrated or simply don’t have the time to labour over an intensive claim, reverting instead to getting stuck into their next project. We advise architects to keep the assessment at a high level to start with, identifying each of their projects where qualifying R&D is taking place and then concentrating on fine-tuning the details where the process becomes more complex. To help architects decipher which of their projects are eligible for R&D tax credits, we have collated our top three tips below. The RIBA Plan of Work is a helpful guide for planning a R&D claim review, but items that are eligible under one stage may not be eligible under another. Architects can use sampling approaches that minimise the disruption to the business when preparing an R&D claim, but they need to be tested thoroughly to ensure they’re statistically meaningful. 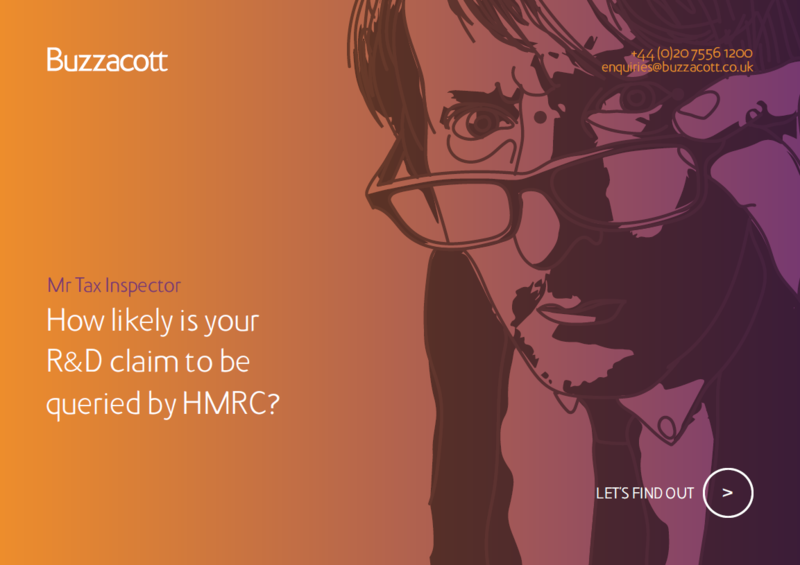 Failing to do so could lead to a material overstatement of the claim that may cause an enquiry from HMRC, or conversely, this approach could lead to work being overlooked. For example, regulation is constantly changing and it is likely that the first few buildings dealing with a major change in regulations would involve eligible R&D. But over time this design work becomes common and the amount of eligible work will decrease. Architects should review their claim methodology each year and remain open minded about refreshing their assessment strategy. If an inspector asks a question about your claim, you need to be able to justify the individual project rather than presenting assumptions based on previous claims. Legislation states that aesthetic aspects are not, of themselves, science or technology. So the work architects do to improve or generate an aesthetic appeal of a process or material is not considered R&D for tax purposes. However, if this aesthetic finish was not readily achievable or if it was accomplished through the application of science or technology, it could represent a qualifying advance. If this advance was achieved through resolving associated technological challenges this activity would therefore be qualifying for R&D tax credits. A way for architects to distinguish these concepts is with evidence of design iterations or testing to overcome technological or scientific uncertainties. This is a clear indication that the project should be reviewed as part of the R&D claim preparation process. It is not the colour that is important to HMRC, it is how that look was achieved. When an architectural practice carries out extensive research as part of a project, it does not always mean that the work qualifies for R&D. For example, researching the architectural language used in a specific location will not be eligible for R&D in the tax context, as it is not related to a field of science or technology. If you face uncertainties due to the complexity of working with a variety of people, this will also not be eligible. Architects should take extra care when the challenges within a project relate to social sciences or the arts. In the creative sector, technology and the arts can become intertwined and the R&D claim needs to exclusively focus on the technology strand of the project. To continue this discussion, we are hosting an exclusive roundtable for architects in March. Please click here for more information. We hope you found these tips useful and feel more confident about preparing your claims. If you have any questions on R&D for architects or would like our specialists to provide you with a free claims review, please get in touch below. VAT 1 R&D tax credits for architects – what should you know?